The ER-ITN Access Process reviews how an organization reenters after a disaster. This requires a three step process which is reviewed below. To learn more about this process or the added benefits of using your Mobile/Vehicle Placard for tracking, please read below. Note: Law Enforcement ALWAYS has the final decision on access into a jurisdiction and can choose to scan a Paper/Mobile Placard or visually inspect it. The first step in getting either Reentry or Daily Access is registering your organization with the Access Program. 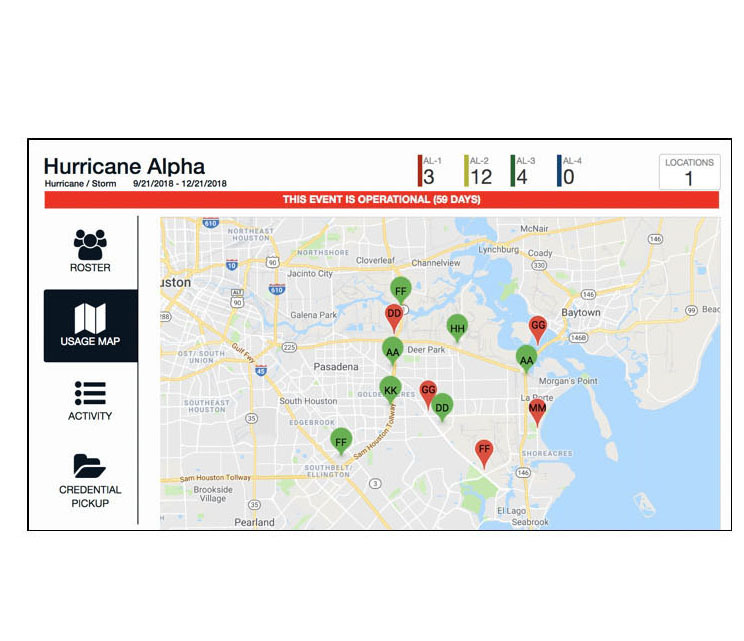 This will ensure that your organization can receive access during a Hurricane or other crisis event as well as give your organization the opportunity to track personnel with the Mobile Application. Our Program allows an organization to use both Reentry Placards and standard badges for geolocation during events and normal operations. The features of this application are wide ranging and include geolocation, tracking, facility access management, any many more!